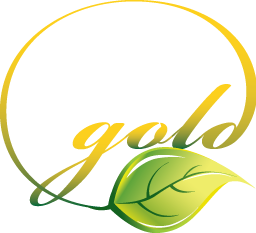 If you like the products and service that GoldLeafDesigns has provided, please tell everyone you know and let us know by leaving a testimonial here for us to share! If you are unhappy with any product or service GoldLeafDesigns has provided please let us know privately. While we cannot guarantee that everything will be perfect and everyone will be satisfied, we do strive to "meet or beat our customers expectations"! Every insight and feedback you give us makes us give our very best in every way possible. We work for you! Let us know when we do good, and give us a chance to do better when we fail. I purchased wedding postcard invitations. They are beautiful and I received them in a timely manner. I will do business with Wendon Pettey again if the need arises. It was a beautiful design on the post cards. Our customers will be pleased with our advertising! I look forward to getting more design work done in the future. Great job on the signs! This company and design team is VERY EASY to work with and very cutting edge in the designing of anything and everything that we have ever asked for. Two Thumbs Up and Highly Recommended!!!! So excited over our Kid's Crusade Banner that Gold Leaf Designs made for us. It was just perfect...the art work, the design and the quality was great...plus at a very good price. We can reuse every year! Thanks so much! Incredible! Incredible! Incredible! I am so pleased with the design work as well as the final products!!! I intend to make goldleafdesigns my one and only graphics vendor!